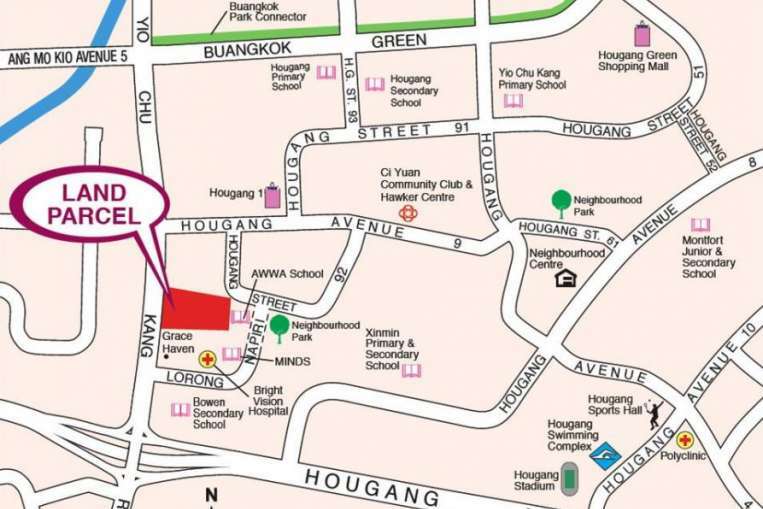 YCK EC situated at Yio Chu Kang Road is a new launch Executive Condominium (EC) By Hoi Hup Realty. The plot which attracted 10 bids during the tender exercise received a top bid of $183.8 million which works out to about S$331 per square foot of potential gross floor area, or per square foot per plot ratio (psf ppr). The 1.8-hectare site is expected to yield 520 residential units ranging from 2 bedroom units to 5 bedroom units. Strong demand is expected for YCK EC due to the scarcity of EC plots released by the government in recent years. YCK EC will be one of the only 2 ECs expected to be launched in 2017. There is also no private residential and EC launches in recent years, with Terrasse Condo by MCL being dated last. The development is definitely going to generate strong interest from HDB upgraders and 1st timers looking for residential with condominium facilities and convenience yet affordable. ECs are generally 20-25% more affordable than private condominiums. ECs are a public-private housing hybrid form with initial buyer eligibility and resale restrictions that are lifted a decade after project completion. The project is expected to launch in late Q2 2017. For more information on the YCK EC, simply fill up your details below and our salesperson will get in touch with you shortly!